Yesterday, Ransom Canyon’s famous steel house was open to the public from 1:00 p.m. to 5:00 p.m. 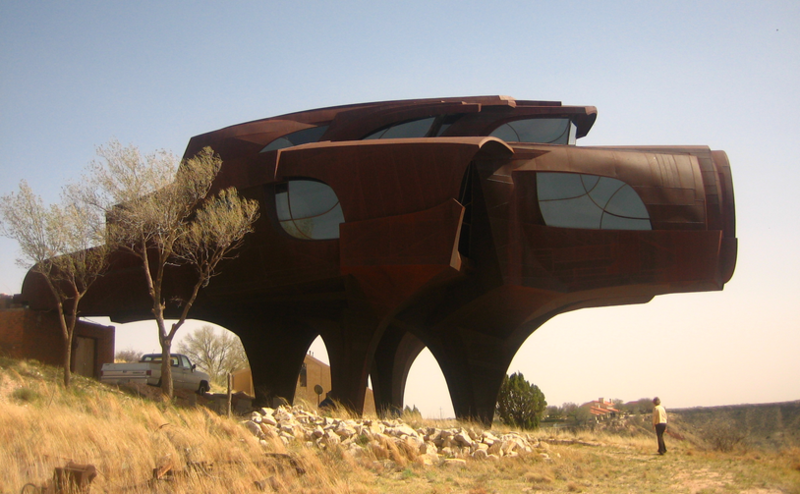 The unfinished house, which sits on 85 East Canyon View Drive in Ransom Canyon, now serves as an unofficial memorial to architect and former Texas Tech faculty member Robert Bruno. Bruno worked on the home for over 30 years, with construction commencing on the steel house in the mid 1970s and garnering 110 tons of steel. Assuming you weren’t one of the lucky few that got to attend the walk through this past weekend, you can take your own virtual tour through the video below. Robert Bruno’s Steel House from Red Roadrunner Films on Vimeo.